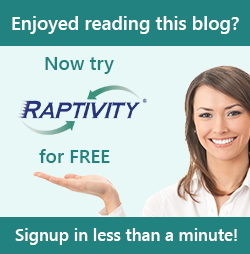 Raptivity - Rapid Interactivity Building Tool: Can compliance training actually be fun? Can compliance training actually be fun? Let’s face it. No one EVER looks forward to compliance training sessions. The reason people attend compliance training sessions is same as the reason six-year-olds brush their teeth every morning. Because it’s mandatory. Compliance trainings are somewhat tricky to administer because they are not about sharing information or teaching a new skill. Instead, compliance training is usually about influencing employees to alter their behaviour favourably. When it comes to topics such as anti-discrimination, anti-bribery, business etiquette etc. the training needs to teach employees to behave in a certain fashion, irrespective of their personal values or prejudices. And because behaviour is always a choice, it becomes that much harder to bring about a behavioural change. Because these trainings need to be repeated regularly (usually annually) as mandated by law or company policy, attending these becomes tiresome and extremely boring, especially for repeat attendees. As a result, most employees tend to look at compliance training as an obligation or a necessary evil, rather than a choice. The lack of enthusiasm for compliance training is not restricted just to the audience. On their part, instructional designers too tend to invest relatively minimal efforts to design compliance training courses because they are mandatory trainings delivered to a captive audience. There is a tendency to stick to the basics and not think much about the user experience. Over time, this becomes problematic because trainings become less impactful and defeat their very purpose. Instead, it would help to change the perspective and view compliance trainings as a great opportunity to positively influence a captive audience. With a little bit of effort, it is possible to make compliance training both impactful and entertaining. We were chatting with one of our customers on this topic and she had some great insights. She suggested the use of gamification, video, multimedia to make compliance training as engaging as possible. The key is to make it relatable to the audience. For instance, she talked about how she uses short, impactful supplementary training sessions through the year to reinforce the lessons learnt during a particular compliance training. She designs these supplementary sessions in the form of contests, quizzes or ‘spin the wheel’ type games. Like she rightly pointed out, it’s impossible for attendees to retain all aspects of the session in one go, irrespective of how they perform in post-test evaluations. Gamification can be a great tool to reinforce the lessons in an interesting and fun way. Anecdotal evidence suggests that the impact of such efforts is apparent. Far from taking a ‘let me get this over with’ approach, people actually begin to enjoy the sessions. These sessions break the monotony of the work day and give employees an opportunity to challenge themselves against peers. They can compare their knowledge on the subject with that of peers in a fun and competitive way. Wrong answers help them learn too. Even if the subject of training is slightly sensitive (such as anti-discrimination), there are several ways to make it engaging. For instance, presenting information in the form of a book you can flip through can be an interesting change. Using simulations and what-if scenarios to engage the trainees can also help in better recall when it comes to sensitive topics. For instructional designers, the fact that there is a captive audience that is bound to attend the training is a good problem to have. Making it impactful, engaging and interesting can create a positive experience for both the course designers as well as attendees. There are many solutions available in the market that could help you build interesting interactivities. Raptivity by Harbinger is one such tool that is widely recognized for its variety of templates that could help increase the fun quotient of your compliance training modules; and eLearning modules in general. Do drop in some ideas on how compliance trainings are made fun at your workplace.